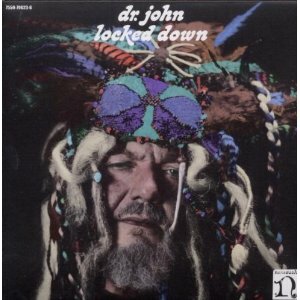 "His best record in years" seems to be go-to phrase of critics when discussing "Locked Down," the just released new album from Dr. John. I may have to take it one step further and call it his "best record period." Some might argue that The Night Tripper's 1968 debut "Gris Gris" is the one. Others may opt for the one-two punch of the more commercial, New Orleans R&B found on "Gumbo" and "In The Right Place," released in 1972 and 1973 respectively. Or, you may be one who holds 1974's NOLAFUNK collaboration with The Meters, "Desitively Bonnaroo" closest to your heart. All fine representation of just what Dr. John can do like no one else. But what makes "Locked Down" even better than these classic records is what lies at the heart. Underneath the juju, conjured up so perfectly by producer and Black Key Dan Auerbach, are songs. "Gris Gris" was all about the sound & the voodoo vibe. "Gumbo" was a straight on tribute to New Orleans legends, past and present. "In The Right Place" hit paydirt sonically and "Bonnaroo" may be the funkiest, but it admittedly falls a bit flat, considering those involved. "Locked Down" has it all. From the opening title track, the groove is set. "Locked Down," and the songs that follow immediately evoke the mood of "Gris Gris." But unlike "Gris Gris," the melodies aren't lost under a spell of clanging chicken bone percussion and the good doctor marking his territory with chants and grunts, which by the way, I absolutely adore. I'm just saying, "Locked Down" is musical, in a big way, and it still doesn't skimp on the funk and good doctor juju. "Locked Down" delivers what you come to expect from Dr. John, but it will also, quite simply, leave you humming. Dan Auerbach handpicked the musicians, who are more than capable of applying their chops in everything from jazz to Afrobeat to of course, funk and soul. "Getaway" slides along like something out of a 70s Blaxxploitation film, and its false ending-into- a- blistering- guitar -solo, is one of the hottest moments on record so far this year. 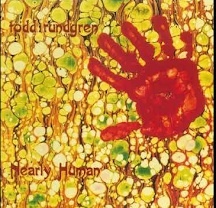 This record is all those records I mentioned earlier, but fine-tuned, turned-up and whacked out. Trust me. "Locked Down" is that good. It is indeed that good. As per your earlier thread, the pairing with Dan Auerbach was perfect. First the Joan Osborne and now this. A fine week for great new music from talents we probably took for granted. I started to ask this when you wrote about the Joan Osborne record, but I think I neglected to hit the publish button (a common problem across many platforms..should'a learned by now...) Anyway, although my inclination is to buy albums locally, I'd rather buy through your link if it helps Burning Wood. So, does it? Thanks for the thought, but no. I get nothing, so keep it local. Even though he's not Miles Davis, he can make some good music. If and when I get out my Miles groove I may have ears left for this. Can't wait to hear it! I love "Goin' back to New Orleans" and the Ellington disc. Some of his best recent (and superbly understated) palying is on the Greg Allman CD! Wanna hear some vintage Mack Rebennack? Try Blusiana II on for size or maybe 'There Must be A Better World Somewhere' (B.B. King).